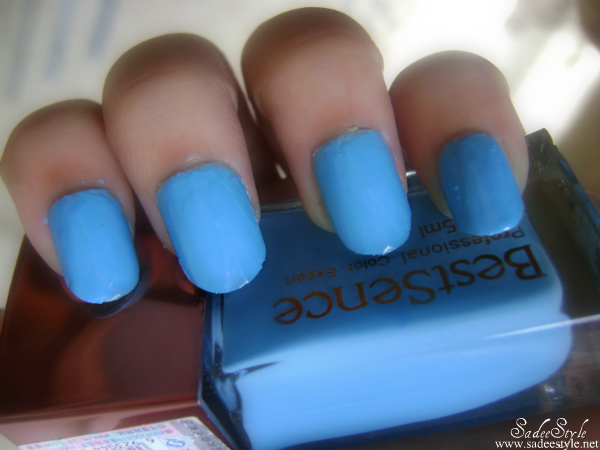 It's just a super quick post for the nail polish set that I got from the kkcenterhk. 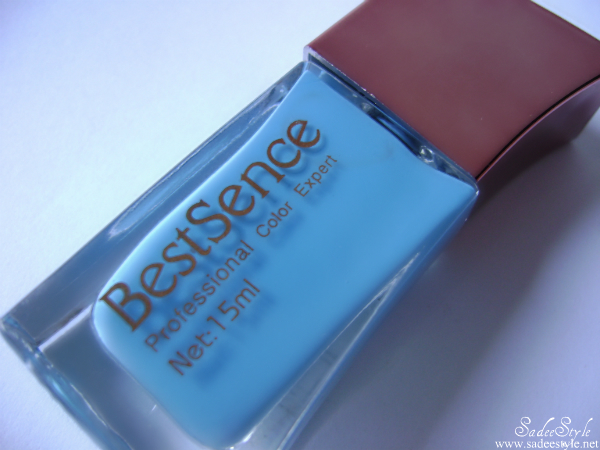 They are from the BestSense brand and they have extensive range of nail art supplies and nail polishes. I am not very familiar with the brand, but it looks appealing and promising. These nail polishes come in a set, but you can buy them individually. 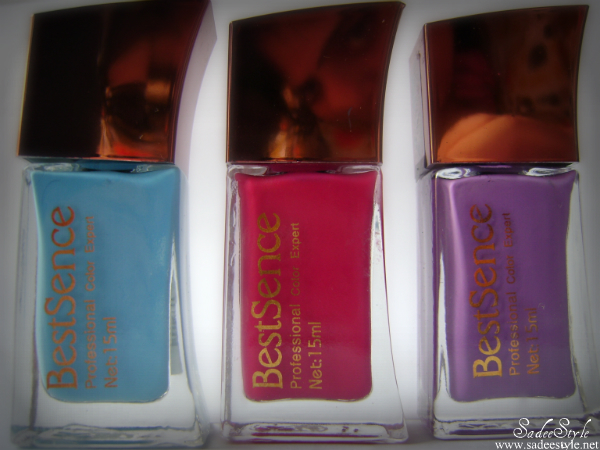 However, the nail polishes set I own have three soft nail colors Sky Blue, Shocking Pink and Soft Purple! All colors are an extra beautiful, bright and perfect for summer/spring. 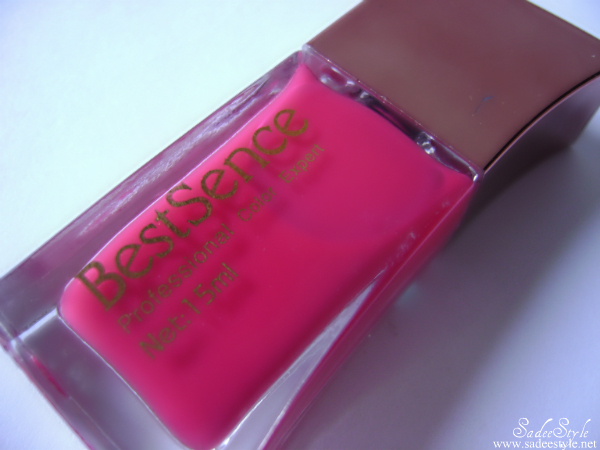 In terms of the consistency of the formula, all of the colors have good formula expect the pink one. 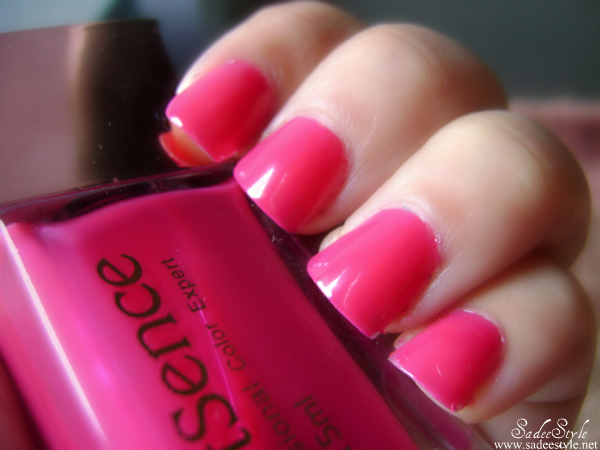 The pink nail polish have very thin formula and it takes more than two coats to look opaque on my nails. 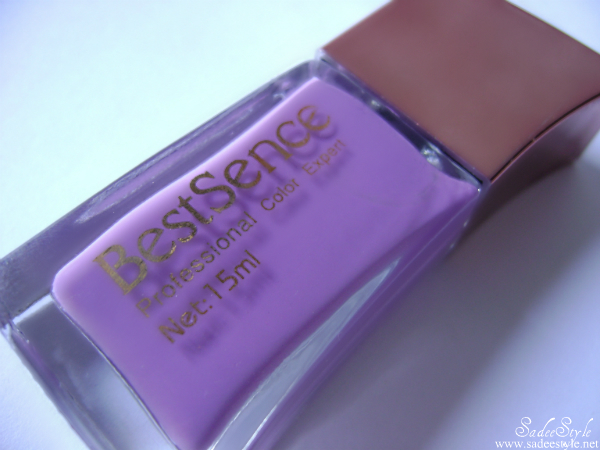 Although color is beautiful and still worth having, but I hate the formula it's very sticky and do not dry and rest of the colors are fine and they dry very glossy. The color sky blue and purple are in good consistency and amazed me! These are much better than the pink one and it didn't take so long to dry I only coated twice to make them opaque also they last pretty long without chipping. I simply love them, all colors look amazing on my skin and they are perfect for summers. These nail polish can be rocked all summer long. 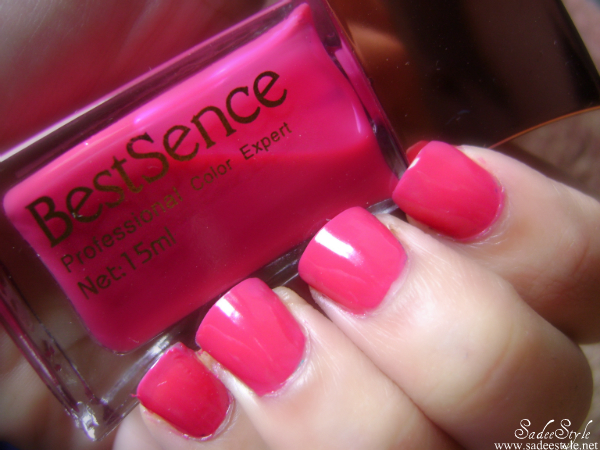 Pink nail polish comes with poor formula. Three colors in one set, solid color, clear and uniform. I have very mixed feeling about this product. Its up to you if you can spend 22 USD for unknown brand than It's good otherwise ignore it! all 3 of them are amazing shades! the colors are so pretty!! !